People say, ‘if you wish to run your online business profitably and seamlessly, Magento is the platform you need.’ Magento has provided 100% flexibility to leverage evolving business needs. Additionally, it is readily optimized for to save considerable amount of time by not having to specifically invest in SEO efforts. Magento scrupulously houses your entire online presence. Right from the front-end the website’s user interface mixes smoothly with its shopping UX. And From the back-end, Magento manage sales, inventory and customers like a breeze. The demand for a Magento website developer today is high in the market. Because Magento provides extreme flexibility and ease of use, entrepreneurs seek for it. This has provided a boost to Magento development services in the market, which in turn has increased the demand for Magento website developers. Whether you are an experienced Magento developer or someone who has just started, these blogs are sure to ignite the dormant skills inside you. The list is undoubtedly incomplete without mentioning the Magento Blog itself. This is a friendly Magento community through Blog, Wiki and Forum created by Magento itself. You can easily find official information, customer stories, technical tips and tricks, and best practices along with other. It is advised to be careful with the dates mentioned along with the other sorts of information including different solutions. Because if the solutions were published long time ago, the information might not be very helpful. Magento also offers an on–demand tutorial named MagentoU which provides useful information, video tutorials, video courses etc. This has to be one of the most comprehensive guides about ecommerce available on the internet. Practical Ecommerce has wonder box worthy articles and advices for every existing type of e-commerce business. It offers articles in every niche of e-commerce including Magento. There are numerous posts about Magento that can be very helpful for if you are a website owner, or a Magento website developer or even someone who is involved in Magento development services. Everyone knows Reddit--the front page of the internet. The Magento page on Reddit is full of insights and detailed discussions about the development. The range of audience on the Reddit platform makes it so alluring. There are people ranging from no to almost 5+ years of experience in Magento development. This makes it a great place to source information from varied sources. You can call this a developer’s den. It can be called as the Wiki of Magento. You can find every bit information on this website. From questions ranging from 1 to 10 on the scale of complexity, questions and answers to some of the most trivial queries and to some of the most challenging situations, Magento Forums will soon become your one-stop-shop. Magento Fox blog is authored by Creare Group ‘s senior Magento developers. There are tips and tutorial on Magento, including Magento training videos. Magestore’s Magento blog is a collection of various articles on Magento extensions, Magento 1 and 2 Tutorials, Magento Site management and Marketing guides. They share some of the best practices and knowledge for store owners to solve difficult problems from their business. 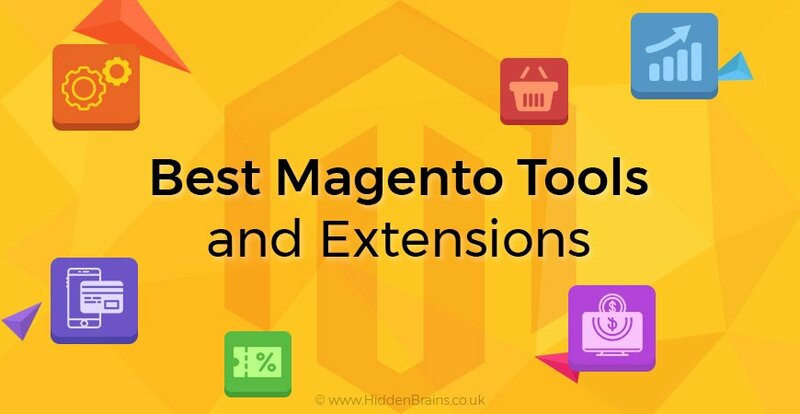 A big collection of articles on Magento extensions, technical how-to’s, e-commerce and marketing guides. The Amasty Magento blog segregates various articles on Magento extensions, information about technical how-to’s, and various other guides on e-commerce and marketing. Magento Quickies is a great place for Magento website developers who are interested in learning more about the Magento platform and participating actively in the Magento community. Another fantastic blog about Magento extensions, development, tips, tricks, exchange of experience, research, fire etc. You will find every major information about Magento on this blog regardless of the time and date. Over the years, companies have experienced a major spike in the demand of Magento development services. Entrepreneurs with an eye for vision in mind choose Magento over other e-commerce website development platforms. Today, a well-versed Magento website developer has a leverage in the market.